1. I represent that I am the parent or legal guardian of the Participant(s) named below or I have obtained permission from the parent/legal guardian of the Participant(s) named below to execute this agreement on their behalf. contusions, fractures, scrapes, cuts, bumps, paralysis, or death. 4. I agree that the Participant(s) named, and I shall comply with all stated and customary terms, posted safety signs, rules, and verbal instructions as conditions for participation in any party and/or program at Party Playground. 5. I, for myself, the Participant(s) named, our heirs, assigns, representatives, and next of kin agree to hold harmless and indemnify the owner of Party Playground, AVT Concepts II LLC, their predecessors, parent, subsidiaries and affiliates, officers, and employees from any and all injuries, liabilities or damages from participation. 6. I additionally agree to indemnify the owner of Party Playground, AVT Concepts II LLC, their predecessors, parent, subsidiaries and affiliates, officers, and employees for any defense cost or expense arising from any and all claims, injuries, liabilities or damages arising from participation. 7. I am of physical ability to participate and am legally competent to understand and complete this agreement. I hereby execute this agreement without coercion. YOU ARE THE OPERATOR: I, for myself and my child or Participant(s) named, have read the safety rules, agree to operate any attraction at this facility on the behalf of any attraction participants and enforce all safety rules of Party Playground and/or the manufacturer, and agree that the failure of myself, my child or Participant(s) named to follow these rules may result in injury or death. 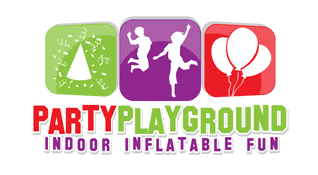 By providing your e-mail address you acknowledge we may send you e-mail including Discount offers, special events, and Party Playground news.